Ima Ghaeli is a research fellow at the Ultrafast Bio- and Nanophotonics group, under the scientific guidance of Dr Jana Nieder. Her research project is on near-field effects for sensing and bioimaging, with the main focus on improving the scanning speed of a super-resolution “Metal Induced Energy Transfer–Fluorescence Lifetime Imaging” (“MIET-FLIM”) microscope. 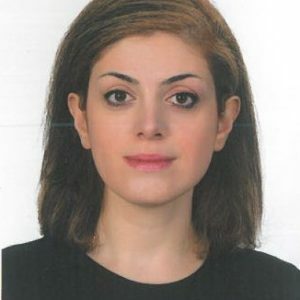 Ima Ghaeli completed her bachelor and master in Fiber and Polymer Engineering from the Isfahan University of Technology, Iran. In 2018, she finished her PhD in biomedical engineering from the University of Porto, Portugal. During her PhD, she has worked on designing phage-based nano-biocomposite coatings with tuneable properties, aiming at obtaining a contact-killing and drug-releasing antibacterial surface. To this aim, she extensively studied and worked on modulating the self-assembly of protein-based biopolymers and incorporation methods of phage nanoparticles as antimicrobial agents. Moreover, she worked on quantitative microscopy approaches for single particle tracking to visualize and tracking viral nanoparticles through a label free technique and analyse the influence of environmental parameters on viral nanoparticle diffusion behaviour. Her PhD has been done in collaboration with i3S – University of Porto (Portugal), McGill University (Canada), University of Campinas (Brazil) and Nicolaus Copernicus University (Poland).